The Ultra Ocean concealed/exposed manual valve package is the perfect balance of form and function With one lever to operate both the flow and temperature using the latest ceramic disc technology. Built in or exposed, the Ocean Manual shower control is the cost effective answer in the modern shower. Suitable for all plumbing systems. The Ultra luxury curved slider rail kit enables the user to experience adjustable-height showering in their bathroom. 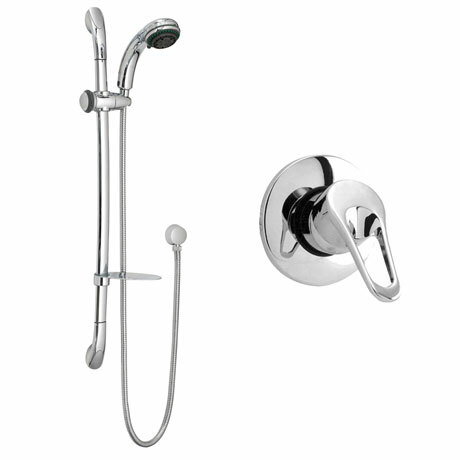 Finished in chrome, this stylish slider rail kit works well with a Ultra Shower Valve.